Virtual reality does not necessarily mean just sitting in front of your computer and putting on a modern VR headset. HolodeckVR makes it possible for interested gamers to move freely in virtual worlds and to even interact with fellow players. We wanted to learn more and were able to talk with the company founders. Please introduce yourselves and HolodeckVR! HolodeckVR is revolutionizing the way content such as movies, games or documentaries are being experienced. The use of virtual reality and cutting-edge sensor technology turns the viewer into a player who is able to move freely in their world. This allows individuals to virtually travel to faraway places, try out the latest interactive games, or visit cultural sites of the past. Our goal is to give the end customer an almost endless number of virtual worlds for a completely immersed experience. The team includes four founders; Jonathan Nowak Delgado, Dr. Stephan Otto, Christian Daxer and Jeff Burton. Jonathan Nowak grew up on the Galapagos Islands. As a UC Berkeley alumnus, he started his career in the gold industry, where he planned the automation of gold production in the deepest gold mine in the world (AngloGold Ashanti’s Mponeng gold mine in Johannesburg, South Africa.) He later worked as CEO at digitalsmiledesign.com, a company in the field of cosmetic dentistry. 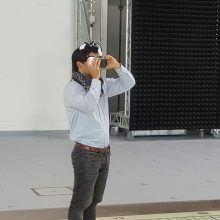 Stephan Otto has been working as a group leader at Fraunhofer IIS since 2009 (and as the Holodeck Manager at Fraunhofer IIS for several months now) and knows all of the rivalling tracking technologies inside and out. Christian Daxer is a technology prodigy, which makes him responsible for all of the technical challenges that get in Jonny or Stephan’s way. He is an enthusiastic gamer, but also dreams of HolodeckVR being used in ‘more important’ fields in the future, such as medicine or education. … you can discover a boundless variety of virtual worlds on the holodeck. What can I get you? Mini, midi or maxi? How did you come up with idea for HolodeckVR? 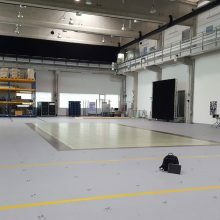 Developers at Fraunhofer IIS had already started working on the tracking technology now used by HolodeckVR (originally developed for the sports market) more than ten years ago. The idea to get into the VR market and play a major role came up roughly four years ago. What were the biggest obstacles in recent years, and what challenges are you currently facing? At the moment, we are working hard to find potential investors. To risk taking the next step, or to even be able to take that step, external investors are of crucial importance. That step will be to break away from our competitors and prove why it is worth investing in us and our vision. What advantage do you offer compared to existing technology? What differentiates us in particular from other VR startups is the size of our holodecks. We are able to offer mini, midi and maxi holodecks. 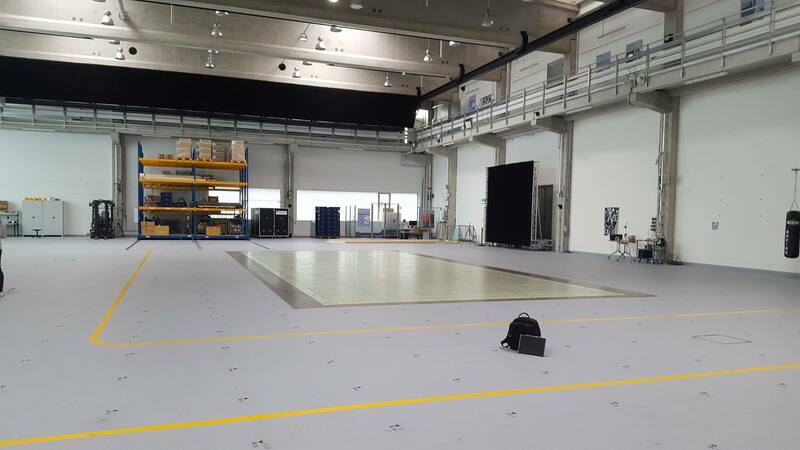 The maxi is roughly 430,000 square feet, which allows us to work with up to 100 users. That offers players a new immersive experience, and gives us the chance to serve a more diverse range of customers. Our connections with Fraunhofer IIS also give us first-rate access to hundreds of patents, first-rate (research) resources and profitable proof of concepts. How would you like HolodeckVR to develop in coming years? What do you think will determine its development and future success? The HolodeckVR go-to-market strategy is to become the world’s leading provider of location-based VR platforms. We’re starting with a target group that is the most adaptive and willing to pay, and will then gradually work towards the mass market. For every target customer segment, we work with the best sales partners. The first target customer segment is the theme park industry, where customers are able to purchase a ready-to-use holodeck, game included, for 500,000 euros. The aim is to replace a rollercoaster and give users a one-of-a-kind experience. Further goal segments to follow are movie theaters, laser tag, sports centers, casinos, shopping malls and conference centers. Where is the holodeck already in use, and do you have planned projects or partnerships? We worked with BOGNER at the ISPO Munich in January this year, which was also our global launch. At the moment, we are also working closely with VRCoaster to break through to our first vertical — theme parks. We are in contact with several potential customers and naturally hope to get as much positive feedback as possible. How have you dealt with financing? In the last ten years, a large portion of the research budget was invested in technology development. At the moment, we are financed through research transfer funds and are currently completing our first external round of financing. In Asia and the US, the ecosystem and willingness to invest is five times greater than in Germany. You continued to develop your idea at the Media Lab Bayern. What did you experience there, and how did you benefit from their offers? We particularly benefitted from the Media Lab Bayern this March by going to the SXSW in Austin, Texas. Being able to participate there was great for meeting new contacts and presenting ourselves on an international level! While working together, we also learned all sorts of other things that will definitely support and help us along the way. What success factors do you consider necessary for a startup? Personality and the founders’ ability to maintain a clear vision and focus while keeping their team motivated despite having to deal with so many unknown factors. An attractive business model where all the unit economics are just right. What were the most important lessons learned during the development stage? To work iteratively very quickly, test a lot, and quickly create learning cycles. Our content development partners should be situated close to a HolodeckVR development location (only in Nuremberg at the moment, but also at an additional location soon.) Multiplayer VR and social VR are far more interesting and challenging than single player and consumer grade VR. HolodeckVR has its roots in Nuremberg, but part of the team is based in Munich. What makes Munich special to you as a location for startups? 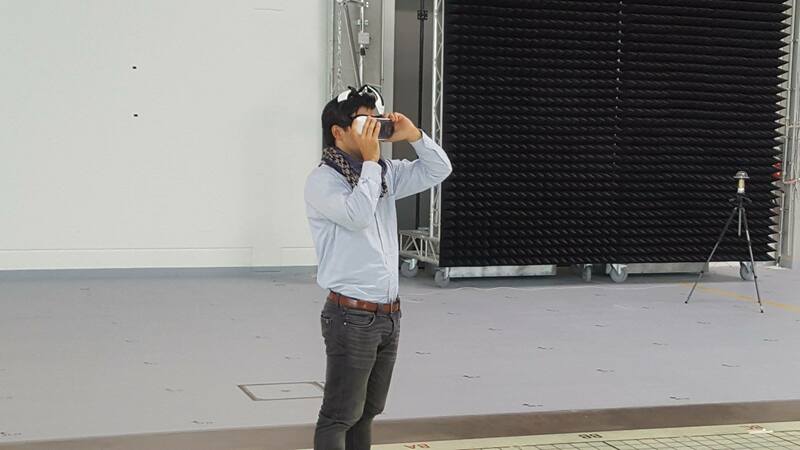 The VR ecosystem in Munich is more advanced than in Nuremberg, which offers advantages both in terms of customers and partnerships. That being said, our technicians, engineers and software developers are all in Nuremberg. We will most likely keep it that way, since availability and competition are much better there than in Munich. On a broader scale, we are considering opening an international location in addition to Munich to gain access to further ecosystems, partners, customers and suppliers; perhaps in San Francisco.